Email marketing is an effective and time-tested communication channel that lays grounds for any business promotion. According to MailChimp statistics, the average email open rate is 20 percent. This number indicates that it is now the leading customer acquisition channel. How can it be useful for interior designers? Well, wise email marketing forms loyalty and trust in a brand. Besides, it helps to build relationships with prospects and facilitates regular communication with current clients. Simply put, email is the most powerful way to share meaningful information and connect with people. Wonder how to get an email marketing strategy that continuously brings in new customers? We’ve got it all figured out. Take a look at these 3 crucial steps you’ll need to take. The first thing a Designer needs to do is to answer 3 questions: whom to write, what to say and how to deliver the message. Let’s start with the first one – whom to target. The crucial thing is to find the contacts of prospective clients. There are two ways to proceed here: through social media or search engine advertising, and by purchasing leads lists. Even though the first two totally deserve consideration, the latter remains the most efficient and time-saving solution. But where does one gets leads lists? The easiest way is to think like a client. 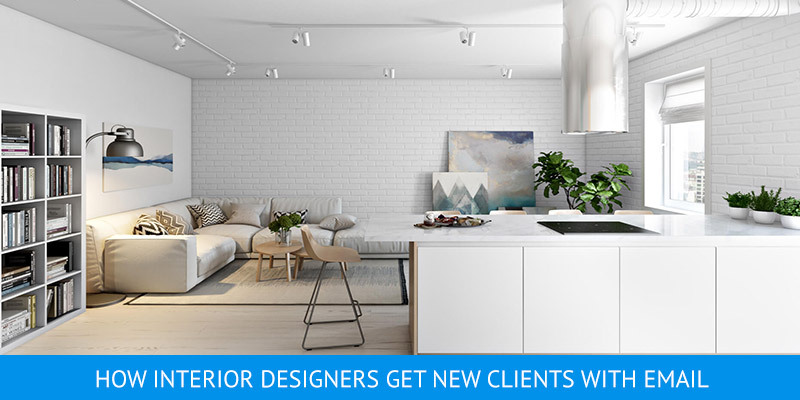 Are there any services or products the prospects need before they choose an Interior Designer? If so, it would be smart to identify their providers and offer them a partnership. Or simply buy the leads list and thus get access to prospects’ contacts – even faster. As for the means of message delivery, there are plenty of automation platforms to choose from, including MailChimp, Benchmark or Getresponse email marketing services. Also, sending traditional letters by post is a totally valid method. And finally, let’s discuss the letters. When the contacts are obtained, the focal point is to outline the values leads can get from using professional design services. At this stage, it is relevant to explain clearly and consistently the benefits and advantages of working with designers using email. As for the content of letters, there are 3 basic tips for catching the reader’s attention and turning them into potential customers. The most significant part of engaging potential clients to designers’ offer is to emphasize designers’ competitive advantage. They can highlight specific benefits and values the leads can get from using their services. For instance, the email can explain why the tailor-made living space will work for readers much better than planning from the developer. Also, designers can show how their professional services will substantially reduce the cost for getting high-quality design materials. Another important thing for email marketing is to prove the level of expertise. Showing the finest pieces of work the Interior Designers have done in various categories is the best way to show that this brand is turning houses into homes, or creating offices that makes people wish they worked there the moment they step inside. Moreover, this is the perfect opportunity to extend to a new niche. The Designer only needs to create the project of this type, get interior design renderings, and provide enough exposure with email marketing. A crucial point to leading prospects to collaboration is providing them with a specific call to action. Depending on the way you work, it could be a phone call, a skype conference call, or a meeting in the office. The trick is to offer something valuable in exchange, be it a free layout development, consultation or an online-test for choosing a perfect interior style. Once the prospects are acquainted with the brand, it’s crucial to launch a well-planned campaign for building trust with them. Here are a few working strategies for doing just that with email marketing for Interior Designers. There is always a set of questions prospects ask before making decisions on whether to work together or not. Ideally, these questions are answered on the website. They usually concern prices, service quality, trust and expertise level. So addressing doubts and clarifying details is actually a perfect opportunity to shine, handle the objections the prospect might have and make a strong impression. 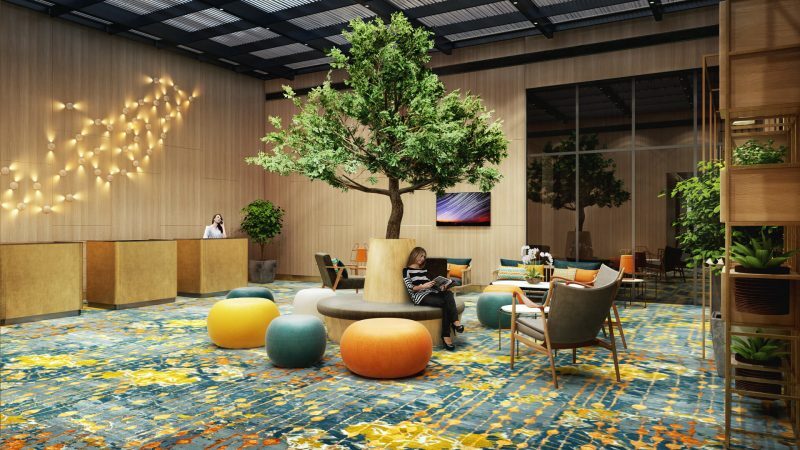 For while answering, the Interior Designer gets to talk about its expertise, record-breaking project timeframes and the huge variety of pricing options – without sounding pushy, within the questions customers really ask. So it would be a shame not to use this opportunity in email marketing strategy. This data will help the readers weigh all pros and cons, appreciate the unique design skills, and, most importantly, get to know the interior design specialist a lot better. So when comes the time for renovation, the choice will be obvious – people naturally prefer to entrust their homes to someone they feel confident about. Another effective method of getting closer to prospective clients is to create surveys. They help to gather information about their preferences and, more importantly, surveys engage them into active communication with the brand. People love being asked for opinion, which is why the response rates from surveys in SMM and email are so high. It means that designers can opt for surveys to communicate and foster trusting client relationship in email marketing as well. Trust goes both ways: the more you trust prospects, the more they trust you. Now that prospects know the Designer a little better, it’s time to sell. At this stage, it will make sense to showcase professional accomplishments – specialized design awards, or previous projects examples. This will boost the prospects’ trust in the quality of services and convince them that this is the best provider for their projects. Here are some examples of how to win the hearts of potential clientele with regular email. At the first stage, the Interior Designer have already shared the examples of work. This way, the email recipients saw the type of projects the specialist work with. Now’s the time to strengthen the impact and impress with sheer number and variety. Sharing the design projects is the best way to achieve the desired effect, as it shows that the Designer is inundated with orders. There are ample merits a Designer can be proud of, so sharing these accomplishments in various online editions is an honor and powerful PR move for any design company. Interviews in feature articles, information about winning top design competitions and contests, or simply projects publications have equal value – they show that the person is being publicly discussed. Such recognition also implies an excellent quality of designers’ services. Moreover, prospects will like the idea of having the apartment design created by renowned experts – it will make a nice conversation topic, especially when having guests. So it is crucial to find an opportunity to leverage this asset and share the information about the awards and prizes via email marketing. Whatever the information shared, it will increase the goodwill of a brand tenfold. Where do I find enough imagery for all the email marketing campaign? Images of the projects still under development. Just because the concept has not been physically implemented, doesn’t mean a Designer cannot use it for self-promotion. For 3D visualization can showcase it in photorealistic quality and in detail – regardless of the complexity. Visuals of the long-distance projects. Taking photos of interiors from a project set in a different country or even continent is challenging – and unnecessary, since it’s possible to achieve the same effect with cgi. Designers can get real-life three dimensional images of the projects, any number of views and in high quality. Endless artistic opportunities. Professional 3D rendering allows to recreate custom furniture elements, fill the scene with sublime lighting, or showcase the interior in the evening. Unlike with photography, it does not require the 3D Artists to set a foot in the house, let alone being there for hours and moving the decor around – to the homeowners’ despair. Email marketing for interior designers allows to scale leads generation. For having invested into the content and software, it’s possible to reuse the assets with new prospective clients, as well as make improvements on the strategy and test the effect. So, in order to start a successful email marketing campaign, you need to understand whom to mail, what to say and how to mail. Then, you have to plan a three-tiers strategy to turn leads into clients, and cultivate the brand loyalty. And a critical component for this system to work is getting top-notch imagery for your interior design projects. In order to get top-quality photorealistic imagery, contact ArchiCGI 3D rendering company. We’ll develop cg visuals that will do justice to your masterpieces!